If you've looked at the background of a lot of my photos over the last few months I'm sure you'll have noticed the Lush lipstick, it's been sitting there practically untouched since I bought it in June. To be honest, when it first arrived I tried it out and wasn't blown away with it so haven't chosen to wear it since. However, these last couple of weeks I've given it another shot, and my opinions have certainly changed. 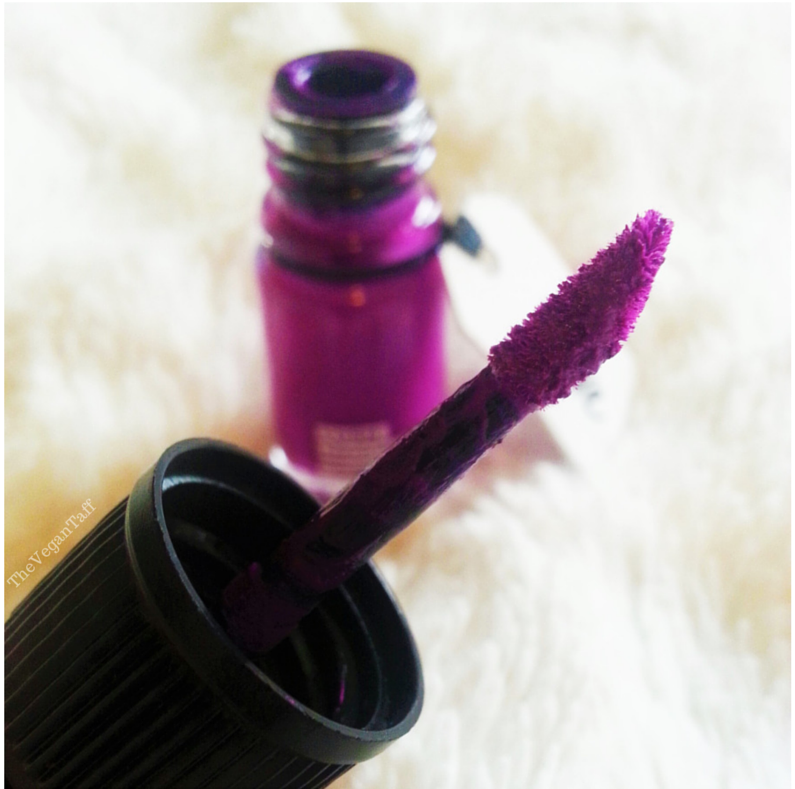 The reason I chose Drive, which is a gorgeous purple/pink shade, is because I've been thinking about the Sleek Matte Me in Fandango Purple ever since I tried it, but unfortunately couldn't wear it. I was looking through the Lush site and Drive reminded me a lot of the Sleek lippy. Upon delivery I couldn't wait to try it, so took off the lipstick I was wearing immediately and applied this. I was not pleased, in fact I regretted spending the best part of £15 on it. After reading so many good reviews I was expecting to be amazed, but instead I found it to be thin, streaky and almost gritty. After leaving it alone for a couple of months I tried it again and found it to be much better. This time I made sure to prep my lips fully; I exfoliated with Lush Bubblegum lip scrub and applied copious amounts of lip balm while I finished the rest of my make-up. By time I came to apply the lipstick, my lips were really smooth and hydrated, I think this really helped the application. It wasn't streaky or patchy this time, in fact I think it looked fantastic. 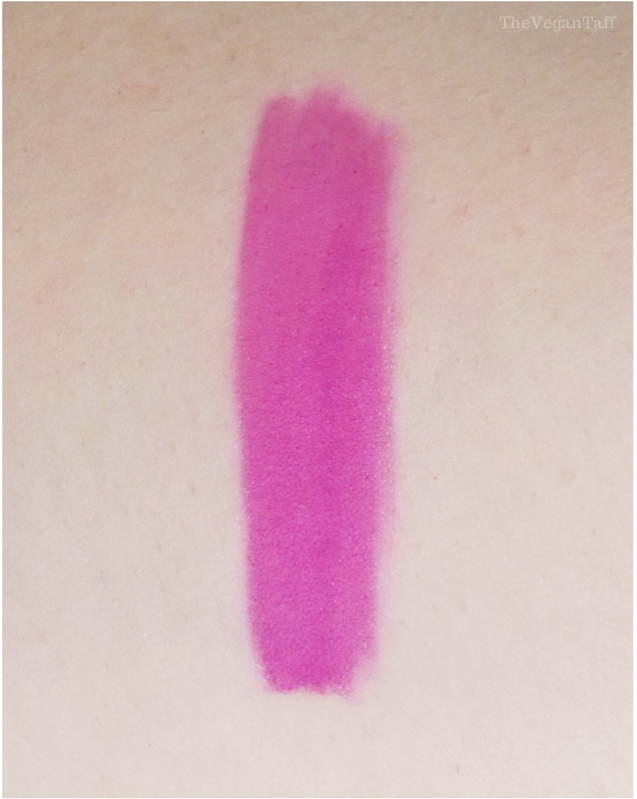 It still feels a tad on the thin side to me, but then I am used to heavy, matte lipsticks, and this is a totally different kind of product so I can't expect it to feel the same. As for being gritty, that has improved too, but it hasn't disappeared completely, I'd say it felt more powdery than anything. I wish I could put my finger on what my gripe is with it, but I just can't figure it out. As you can see from the photo below, it contains talc, so maybe that's what I can feel. It's not pleasant but certainly not a deal breaker either. I really like the packaging, the heavy glass feels very durable and the doe foot applicator is perfect. The lid feels nice in the hand and the wand is a good length so you have control over it, but the whole thing is so small that you can easily fit it into a bag or even a pocket. I've been throwing this in my bag for a while now and haven't had any issues with the packaging breaking or cracking, as I've had with other glass lip products. 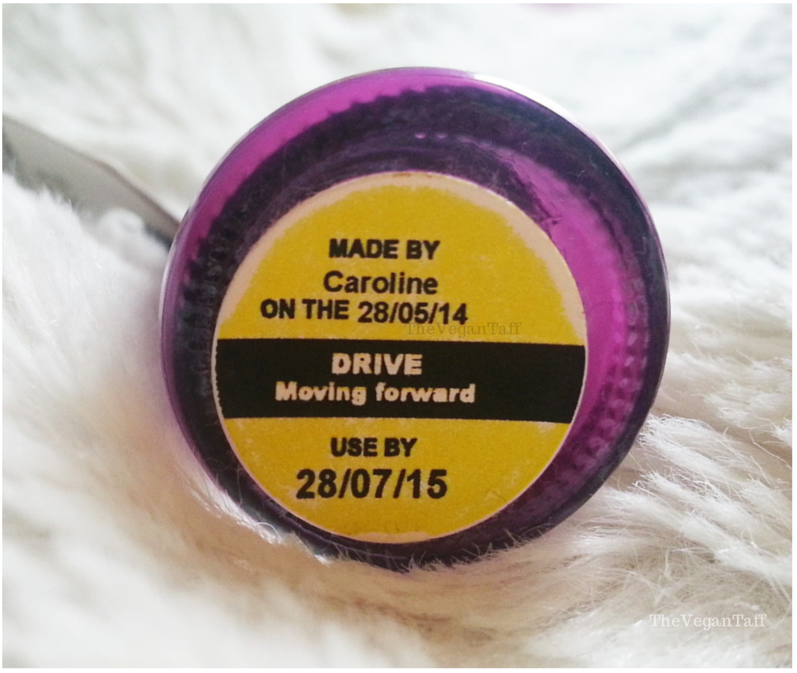 I also really like that they've added a sticker on the bottom of the bottle telling you when it was made and when it's 'best before' date is up, not that I ever throw out make-up that's over a year old unless it seems off (really, who has the money to replace everything once a year?). The smell is pleasant and they haven't added any artificial scents, which I appreciate. It's very mild but does smell fresh and clean. Where this lipstick really shines, I feel, is in its lasting power. When you first apply it, it feels as if it might wear off as soon as you have a sip of water, but it soon dries down into a matte finish and is pretty budge-proof. I tested it out yesterday and it lasted through breakfast, drinks and dinner out. The colour wasn't as strong when I got home as it was in the morning, but I was left with a pretty stain that was even and quite bold. I've done a complete 180 on this lipstick, I've gone from regretting buying it to ordering another shade. The only negative for me is the slight powdery feel, but as I've said, that's something I'm more than happy to work with. I think Lush have shown that you don't need to use crushed up beetles in lipstick (yep, that's what a lot of pink's/red's are made from) to get a great shade, hopefully more companies will follow suit. 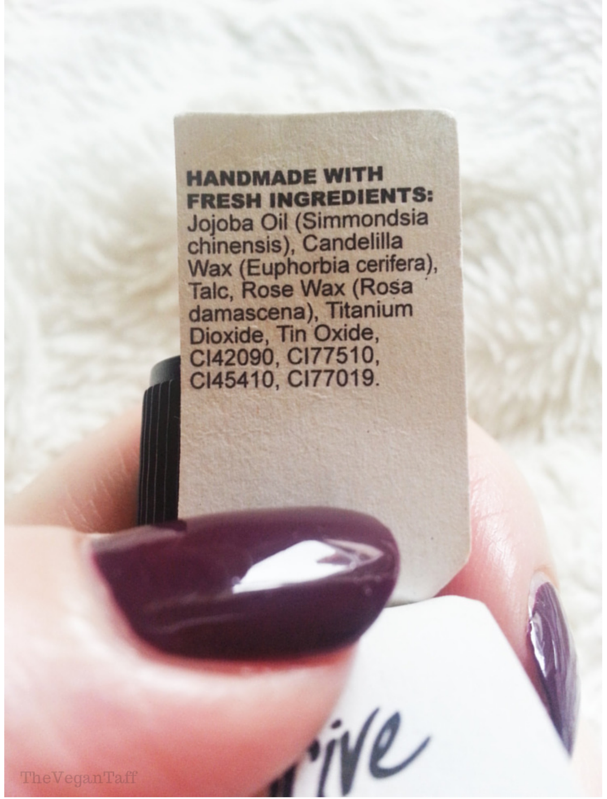 I really wish I'd given this a go a lot sooner though as I'm sure it would have made its way onto my autumn lip picks. 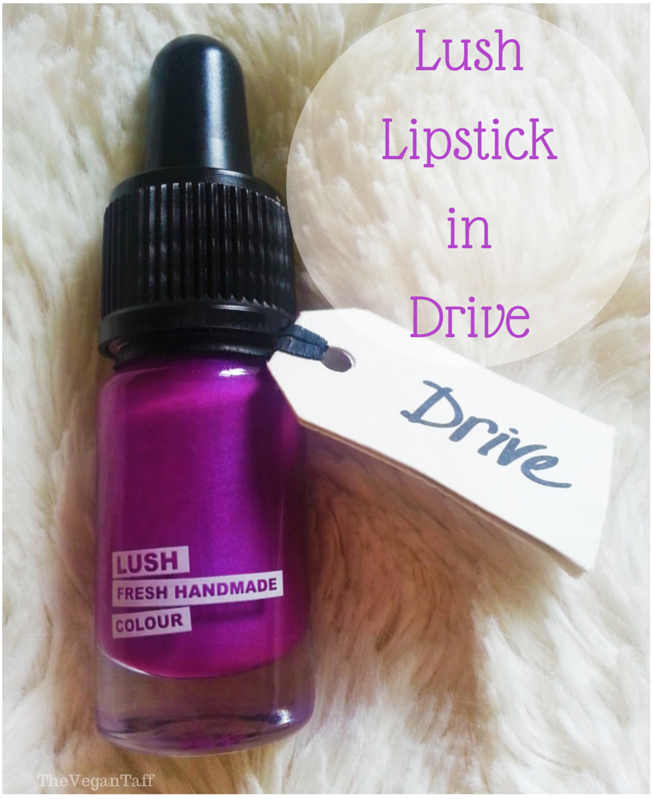 Lush Lipstick in Drive is available from Lush stores nation wide and online for £14.50. Have you tried any of the make-up from Lush? What's your favourite?